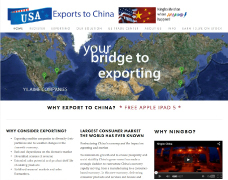 Whether you are in the USA are China there are opportunities available for you to participate as a supplier of goods, products and services to AmericaTowne® or to provide construction and contracting services on site in China. If you are interested in opportunities with AmericaTowne® let us know. More -> USA based vendors and suppliers - see Ops List.